Vision Statement. As Daughters of the King we are women of courage who have made a commitment to serve God our King. We wear our crosses as an outward and visible sign that we cannot live a day without Christ in our lives. We see our Order as a community of nurturing women, accepting all people, bridging differences, and cherishing traditions. Empowered by the Holy Spirit, our vision is to encourage and enable all to be reflections of God’s love, reaching out through prayer, service and evangelism to spread His Kingdom. 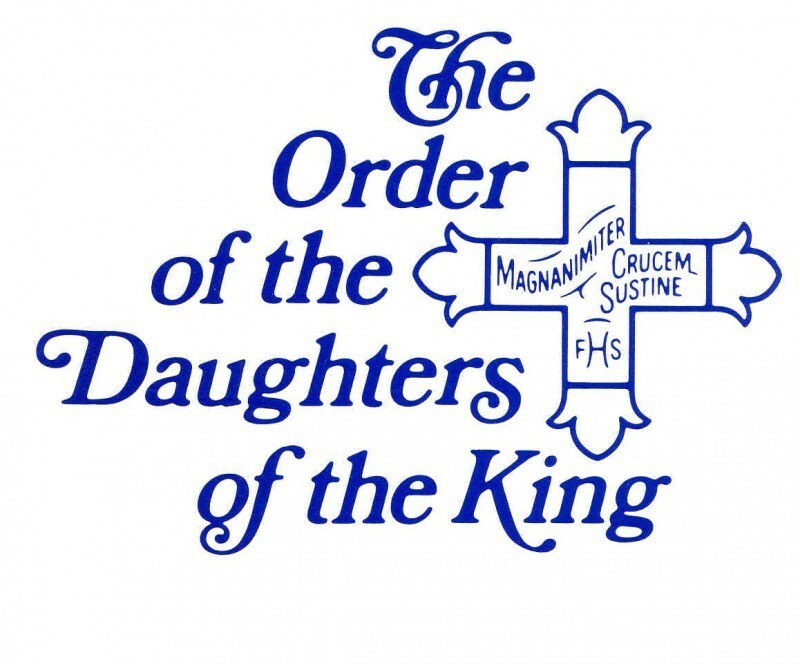 Prayer of the Order. O eternal Father, you have sent us your Son to teach us things pertaining to your heavenly Kingdom. Give your blessing to our order wherever it may be throughout the world. Grant that we, your Daughters, ever may discern your truth and bear the cross through the battles of our earthly life. Give us strength to overcome temptation and the grace to work to serve your Kingdom and to gather your scattered sheep within your fold. Pour out upon us the sevenfold gift of the Holy Spirit that we may always remember it is your work we are called to do; that all we think, do, or say may be pleasing in your sight. We ask it all For His Sake, our King and Savior, Jesus Christ. Amen. Judges 3:10; Isaiah 11:2; Numbers 11:2. What I ought to do by the grace of God I will do. Lord, what will you have me do.